To automatically Sync your GigaTools Pro Gigs with any original GigaTools account, follow these instructions, or watch this video. If you have not already set up an existing original GigaTools account and at least one User via the admin.gigatools.com site, do that first. If you don’t have an original GigaTools account, contact us and we will set one up for you at no charge. 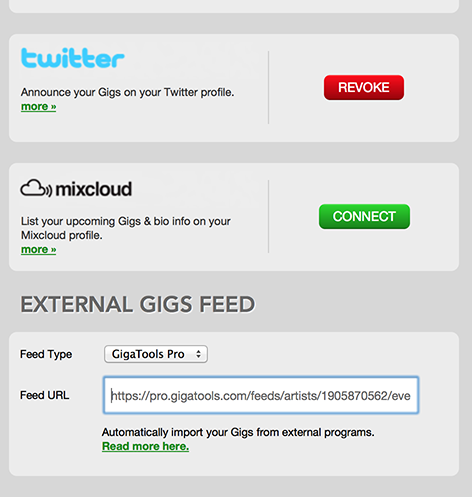 After this all CONFIRMED Gigs on GigaTools Pro will be automatically imported into your original GigaTools Gigs listings. 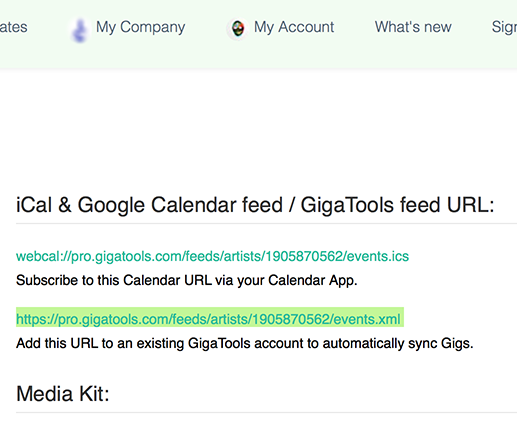 Any changes you make to the Gigs on GigaTools Pro will also be updated on your original GigaTools listings. There is a delay between when you add or change a Gig on GigaTools Pro to when they are updated on your public Gigs listings. This delay can be up to 2 hours so please take this into consideration. You can Sync Gigs from GigaTools Pro with any other original GigaTools account, either one that you own and manage yourself or one that any of your Artist’s manage themselves so they can both manage their own Gigs and automatically import any Gigs you book for them. This entry was posted on Wednesday, July 23rd, 2014 at 12:33 pm and is filed under Help. You can follow any responses to this entry through the RSS 2.0 feed. Both comments and pings are currently closed.